Welcome to Braden Woods! Are you looking for more land? Look no further, this home is situated on 1 acre lot! 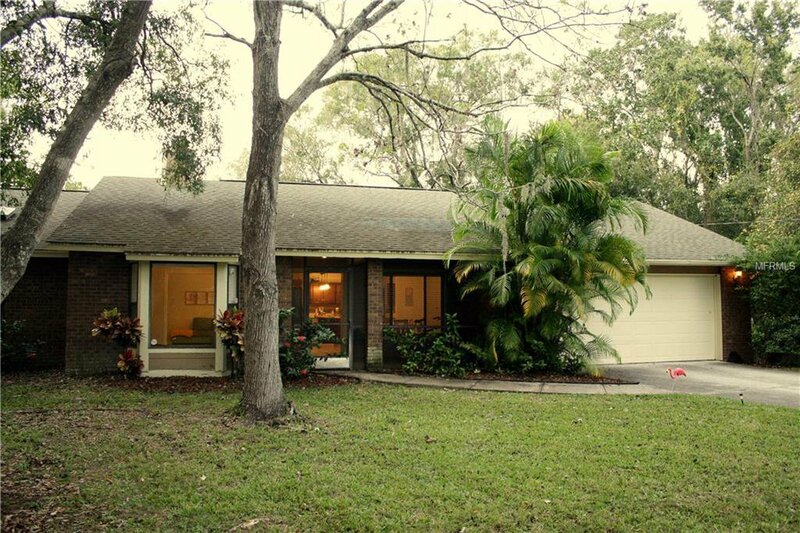 Renovated 3 bedroom, 2 bath, office, pool & spa, on a lakefront lot!! Charming home with all the privacy! Tile floors throughout main living areas, laminate floors in office/den, and vaulted ceilings. Open and bright floor plan! Kitchen boasts granite counters and wood cabinets, pass through window to lanai and pool area. Master suite is large with walk in closets, slider doors to your pool. Master bath offers dual sinks and walk in shower and skylights filtering natural light. New A/C 2015. Private lanai space with pool and spa! Lake views are breathtaking! Conveniently located near A+ schools, I-75, UTC Mall, Lakewood Ranch Main Street, shopping, restaurants, and so much more! NO CDD FEES! LOW HOA FEES! Show this home today! Listing courtesy of UKEEPCOMMISSION REAL ESTATE. Selling Office: RE/MAX ALLIANCE GROUP.